Our Best Answer - How much does orientation cost? Your Orientation Program fees are based on whether you attend a freshmen or transfer program. We also offer Parent & Family orientation programs and those fees are separate. For information on how to pay fees, please click on Orientation Payment Instructions Please make note of your Orientation's fee due date. 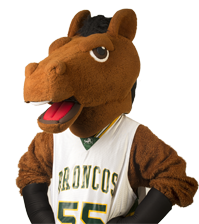 This information is available to you through BroncoDirect. If you miss paying your Orientation fee by the due date, your reservation will be cancelled.